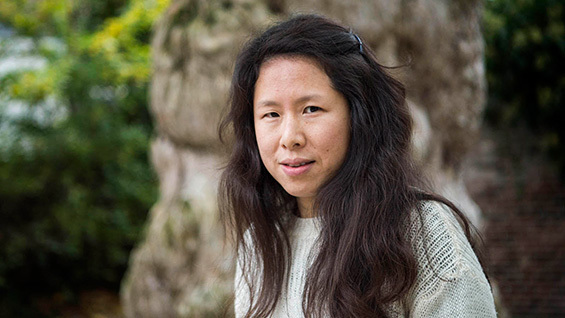 Binna Choi delivers a free, public lecture as part of the Intra-Disciplinary Seminar series. Binna Choi as curator has been practicing the curatorial in the expanded field, where art is situated in the context of practices of social change and has been working on forms of art institutions as an embodied and exemplary site of organizing. Choi has curated a number of long-term, cross-disciplinary/collaborative, plural-presentational artistic research projects such as Grand Domestic Revolution (2010-13), Composing the Commons (2013-16), Site of Unlearning (Art Organizations) (2014-18). They also have led her with the Casco team to the recent re-visioning of Casco in Utrecht, NL, which she has been directing since 2008, into Casco Art Institute: Working for the Commons. The large-scale experiments and conversations that took place around in Arts Collaboratory and the 2016 Gwangju Biennale had been informative of the practice. Together with You Mi she embarked on new study line / long-term project Unmapping Eurasia. In parallel to all these, she’s also engaging with the legacy of 518 democratic uprising that took place in Gwangju, South Korea in 1980 to unfold in various forms of gatherings and presentations.